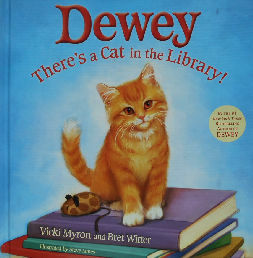 This children's book tells the story of how Dewey came to live in a library and how he decided to become the "library cat". Based on a true story. The hard back children's book is 10" wide x 10" high, copyright 2009, approx. 33 pages (pages not numbered). Full color illustrations on each page. Previously owned but in good condition.